These words, spoken in the southern African savannah, a 20 minute walk from the safety of the safari vehicle, were not exactly what I wanted to hear. But the beeping of the tracker’s aerial, picking up the leopard’s radio collar, was telling us that the creature was close. 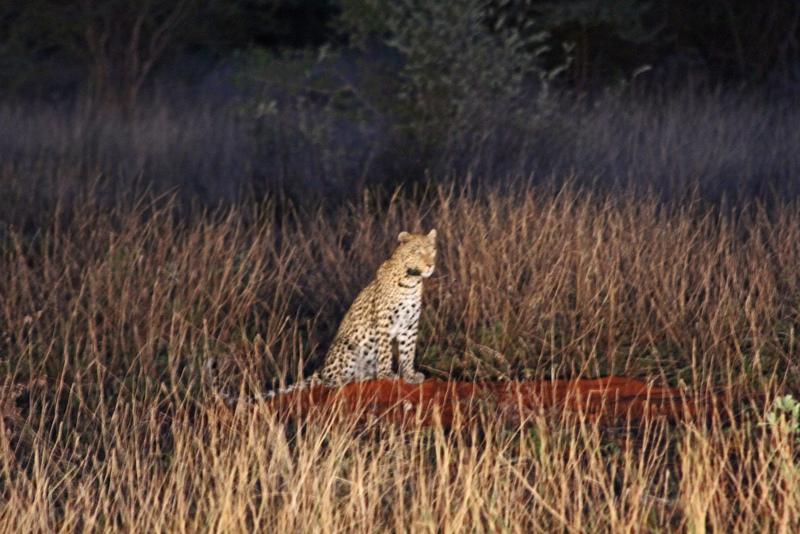 What’s more, the grass around me was waist-high, and leopards are the kings of camouflage. 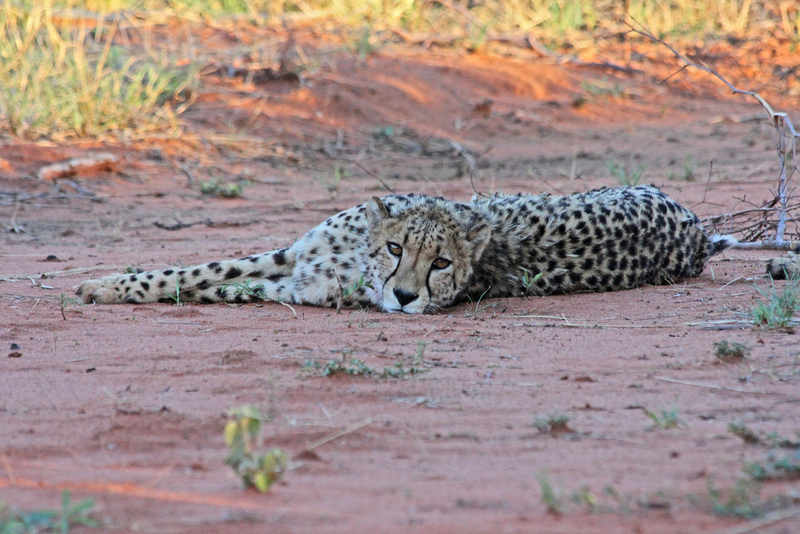 I was in Okonjima Game Reserve – the largest cat reserve in the world – in central Namibia. The reserve is home to the AfriCat Foundation, which was created in 1993 with the aim of exploring new methods of farming in order to reduce the conflict between farmers and predators. Namibia has around 25 percent of the world’s cheetah population, and up to 90 percent of these live on farmland – a dangerous situation for the farmer, the livestock – and the cheetah. Since AfriCat was founded, over 1000 cheetahs and leopards have been rescued from farmland following requests from farmers, and over 85 percent of these have been relocated in the wild. Many of the remaining cats live on the reserve. Some have radio collars, which allows them to be monitored by researchers. It also means they can be tracked by tourists, which provides an essential source of income. We’d received a call from a tracker earlier in the evening, recommending that we postpone our dinner at Okonjima Lodge to come and see cheetahs, as their signal had been detected in the area. After a short drive, we proceeded on foot through the grasslands – in single file as instructed – behind the tracker who held his beeping aerial high and turned it every few seconds. We soon located the cheetahs – a brother and sister named Spud and Coco – lying calmly in a clearing as the sun began to sink. The sleepy siblings were passive and relatively used to human presence, and we were able to crouch down and observe them from a distance for some time. They were absolutely beautiful. Cheetahs are relatively small “big” cats, who rely on stealth and speed to catch their prey rather than size and strength. Their famous sprints – at speeds of over 100km per hour – exhaust them so completely that they are only able to hunt smaller game. Tracking them on foot therefore poses no danger. The leopard, however, is a strong, muscular, predator. It prefers to be within four to five metres of its prey before launching its attack, which is where its superb camouflage comes into play. Unlike the cheetah, it is very particular about cleaning and smoothing its gorgeous coat; stealth is not possible if you get snagged in long grass. If its target hears a noise, the leopard will twitch the white tip of its tail, tricking its prey into thinking it is just a bird. The leopard can then attack, its powerful jaws allowing it to kill beasts much larger than itself. But the leopard’s most terrifying characteristic is its killer instinct. Most animals kill for food, attacking only when they are hungry. A leopard attacks simply to kill. This is why they are an African farmer’s worst nightmare: if they get into a sheep enclosure, they will slaughter every single animal inside. This is also why leopard tracking is not carried out on foot. But here we were, 20 metres from a pair of dozing cheetahs, and probably the same distance from a highly camouflaged killing machine. It was definitely time to head back to the vehicle. We followed the cleared road, slowly but steadily, in silence – save for the aerial’s beeping and our pounding hearts. I couldn’t help but glance around – were we, the trackers, being tracked? – but I knew that there was no way I would spot the master predator in the sand-coloured grass. Pumped with adrenaline, we reached the vehicle as the sun set and the sky glowed orange, and slumped into our seats with relief. But our safari had not ended. A small herd of red hartebeest stood in front of us, and the tracker switched on the headlight so we could observe them as they grazed in the dusk. We were all particularly taken by the little calf, who darted around, trailed by its mother. The aerial continued to beep at regular intervals, we knew we had not lost our leopard. The baby hartebeest wandered away from its mother to graze. She watched, but did not follow. The calf skipped further away. The aerial beeped; I frowned: what was it doing? And why wasn’t its mother protecting it? The beeps sped up, my pulse did the same. The oblivious youngster frolicked off behind a large tuft of grass, and was lost from view. The beeping went mad, and I held my breath, frozen. The beeping became a constant wail. In the headlights sat the majestic cat, calm, focused, immobile. Her eyes shone in the beams of light, locked on the tuft of grass. She was in no rush. She had all night to stalk her prey. We watched the leopardess as she sat, statue-like, until the sky darkened completely and her mottled coat blended into the shadows of the savannah. The tracker turned on the engine, and we slowly pulled away from this real-life wildlife documentary. Poised and perfect, the leopardess appeared to smile. AfriCat is a non-profit organisation whose mission is to conserve big predators, with a focus on leopards, cheetahs and brown hyenas. Research and monitoring is carried out on the reserve, as well as education programmes for Namibian farmers, teachers and school children. Luxury accommodation is available at the reserve, day visits are also possible. Okonjima Reserve is located 18km from the B1 road; a 2.5 hour drive north from Windhoek on the way to Etosha National Park. 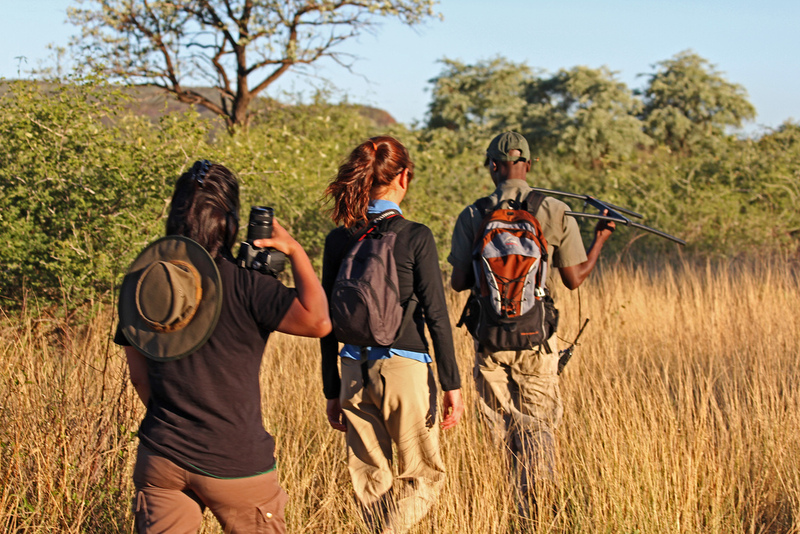 Similar organisations in Namibia include the Cheetah Conservation Fund (CCF) and the N/a’an ku sê Foundation, both of which offer volunteer opportunities as well as tours and accommodation. Tags: africa, AfriCat, cheetah, conservation, leopard, namibia, tracking, wildlife. Bookmark the permalink.